Grab one of these great stylised caps. 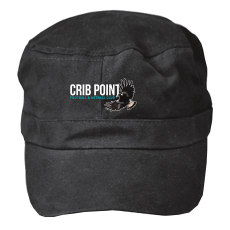 Pre-curved peak with padded cotton sweatband. Adjustable velcro closure at rear. One size fits most.